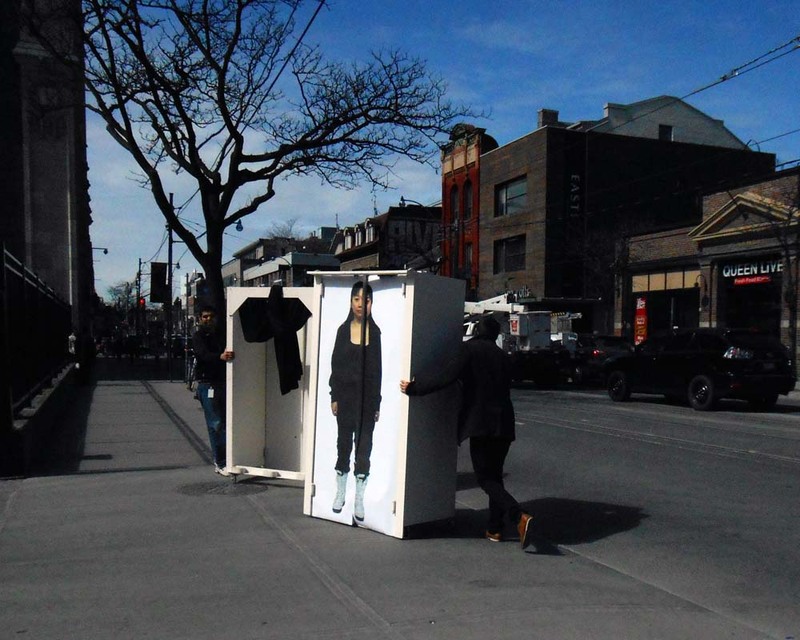 Two workers roll some box people along Queen Street West. They box people were out and about probably because the temperatures were above freezing and the warm sun was shining on our fair city. They seemed a little wooden to me.